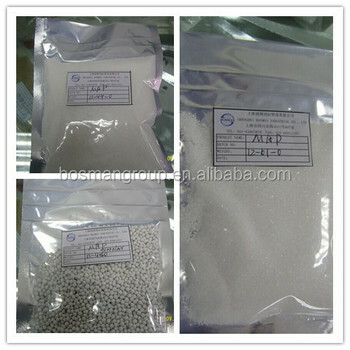 As ammonium phosphate fertilizer is used during the period of crop growth is the most appropriate, acidic ammonium phosphate in the soil, and seeds are crystallization may produce adverse effect, it in acidic soil is better than, calcium, ammonium sulfate, in alkaline soil is superior than other fertilizer; Don't mix with alkaline fertilizer use, in order to avoid reducing fertilizer effect. To use lime, such as southern acidic soil should be applied again after a few days apart monoammonium phosphate. WE DO NOT PROVIDE THE TOP QUALITY WITH THE HIGHEST PRICE . WE DO NOT PROVIDE THE CHEAPEST PRODUCTS WITH LOWEST QUALTITY . WE ONLY PROVIDE SUITABLE AND CORRECT FERTILIZER FOR OUR CUSTOMERS. 100% MAKE SURE OUR CUSTOMERS WILL BENEFIT FROM OUR FERTILIZERS, AND AFTER HARVEST THEY WILL COME BACK TO US AGAIN. WE GO FOR PROFIT ONLY AFTER WE PROVIDE THE MOST SUITABLE FERTILIZERS FOR OUR CUSTOMER AND THE CORRECT ADVICE FOR USAGE AND DOSAGE. NEVER CHEAT CUSTOMERS FOR ONE-TIME DEAL. WITH RICH PRODUCING AND MARKETING EXPERIENCE,WE CAN PROVIDE VARIOUS KINDS OF FERTILIZERS AND STRONG SUPPORT FOR AFTER SALE SERVICE. IN THE MEAN TIME OUR PROFESSIONAL FERTILIZER KNOWLEDGE CAN HELP YOU MUCH WITH FERTILIZERS. 7.Rank first among similar products. We consider consumer 's benefit .